An uncommon mutation of the BRAF gene in melanoma patients has been found to respond to a specific drug therapy, providing a rationale for routine screening and therapy in melanoma patients who harbor the BRAF L597 mutation. 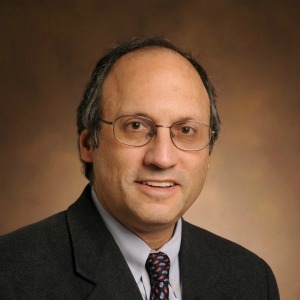 The new study by co-first-authors Kimberly Brown Dahlman, Ph.D., Junfeng Xia, Ph.D., and Katherine Hutchinson, B.S., Vanderbilt-Ingram Cancer Center (VICC), was published online July 14 in Cancer Discovery. 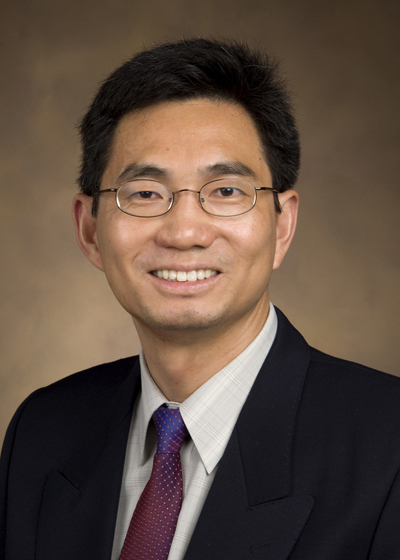 The research was led by co-senior authors William Pao, M.D., Ph.D., Jeffrey Sosman, M.D., and Zhongming Zhao, Ph.D., of VICC, and Antoni Ribas, M.D., Jonsson Comprehensive Cancer Center, UCLA. Mutations in BRAF V600E or KIT are common in about 40 percent to 50 percent of melanomas, and drugs that block or inhibit BRAF V600E were recently approved for treatment of melanoma patients with these mutations. However, there has been no effective treatment for patients with wildtype (WT) melanoma that is negative for these driver mutations. To uncover other potentially treatable mutations, the investigators studied the tumor from a 75-year-old patient with an aggressive form of melanoma that was negative for the BRAF V600E mutation. They performed whole genome sequencing on the tumor, along with DNA from matched blood, and confirmed a mutation at BRAF L597. To determine how many similar mutations might be overlooked by assessing only the BRAF V600 position, they analyzed the status of 49 additional tumor samples negative for V600, as well as recurrent mutations in NRAS and KIT. Two of the tumors (4 percent) were found to have BRAF L597 mutations and a third tumor harbored a BRAF K601E mutation. BRAF L597 and K601 are adjacent to V600. Since V600 mutants are sensitive to drugs that block BRAF or MEK mutations, the investigators tested whether the BRAF inhibitor drug vemurafenib and a MEK inhibitor drug could inhibit cell proliferation signals induced by these mutants in cell lines. The MEK inhibitor led to a dramatic shut down of signaling, suggesting that tumors harboring BRAF L597 and K601 mutations might benefit from treatment with MEK inhibitor drugs. Confirming this hypothesis, a 69-year-old patient with metastatic melanoma harboring a BRAF L597S mutation experienced significant disease shrinkage after two cycles on therapy with a MEK inhibitor drug called TAK-733, currently in Phase I clinical trials. The patient was disease progression-free after more than 24 weeks. The authors believe these data demonstrate that BRAF L597 mutations have clinical significance in melanoma. Further study is needed to confirm these findings. Funding was provided by the National Cancer Institute (NCI), a division of the National Institutes of Health (NIH) – VICC Cancer Center Core Grant (CA68485), 5K24 CA97588‐06 (JS) and P01CA129243, the T.J. Martell Foundation, the Kleberg Foundation, the Seaver Institute, the Wesley Coyle memorial fund, the Garcia‐Corsini family fund, Harry J. Lloyd Charitable Trust (PIP), the American Cancer Society (Mary Hendrickson-Johnson Melanoma Professorship to JS), Stand Up to Cancer SU2C-AACR-IRG0109 (WP), The James C. Bradford Family Foundation, and an anonymous donor. Treatment with TAK‐733 was supported through a clinical trial from Millennium Pharmaceuticals. Other researchers who participated in the study include: Mohammad Atefi, Ph.D., Suzanne Branch, CCRC and John Glaspy, M.D., MPH, UCLA; Neal Rosen, M.D., Ph.D., and David Solit, M.D., Memorial Sloan-Kettering Cancer Center, New York, N.Y.; Donald Hucks, M.S., Peilin Jia, Ph.D., Zengliu Su, M.D., Ph.D., Pamela Lyle, M.D., Donna Hicks, B.S., James Netterville, M.D., and Cindy Vnencak-Jones, Ph.D., Vanderbilt; and Viviana Bozon, M.D., Millennium Pharmaceuticals, Cambridge, Mass.